The architect calls his new Maritime Experiential Museum (MXM) "a sleeping giant." In fact, it's a metaphor and a celebration for the ships that once plied the highly profitable seagoing Silk Route between Indonesia and Oman. 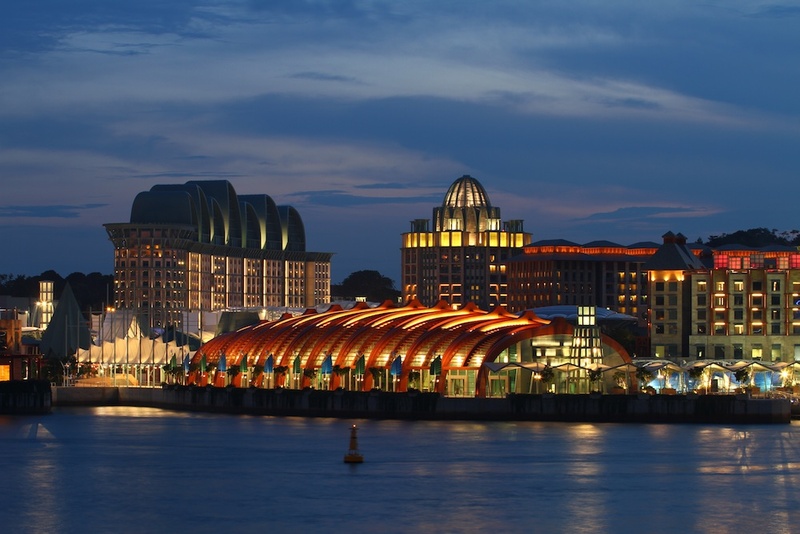 MXM is located at Resorts World Sentosa, directly across Keppel Harbor from downtown Singapore, one of the world's busiest seaports -- and an active player in the ancient lucrative maritime trade that peaked in the 14th century. Ships served as inspiration for the museum's form: that of an inverted ship's hull. "In Spain and Portugal, churches near the water used ships' hulls that were no longer in the water," Graves says. "They turned them upside down and used them for roofs." 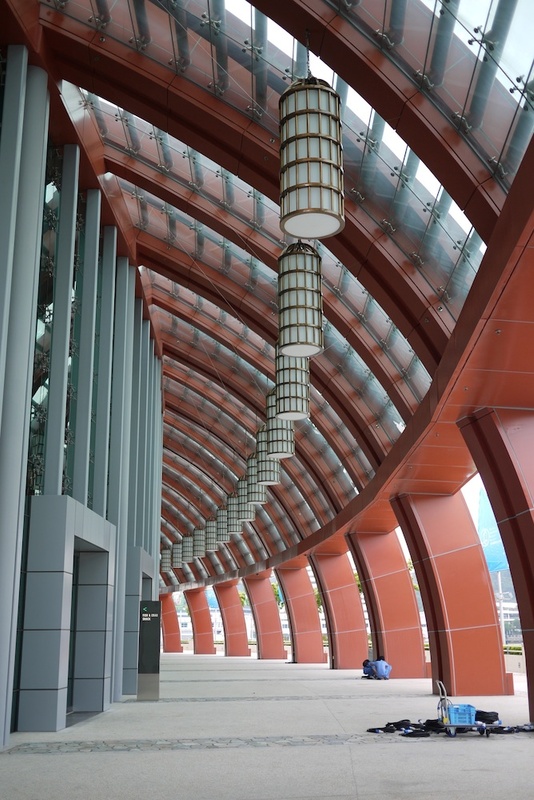 Here he's used steel, glass and aluminum cladding to create a structure reminiscent of a giant vessel flipped over, its ribs tinted a terracotta color to mimic wood and lend a tone of authenticity. Inside, the Omani government has donated to full-sized replica of a 9th-century sailing ship, a dhow called the Jewel of the Muscat. Nearby is a replica of a treasure ship belonging to Admiral Zheng He. Both place emphasis on size. "They were the largest wooden ships ever built," Graves says. "They were seven times larger than any other -- you can compare them to Columbus's ship and see how tiny his really was." The ships carried Chinese porcelain, silks and spices to Arab nations; the goods eventually found their way to Europe and the Mediterranean. In the nearby Straits of Malaysia, shipwrecks were common and pirates are still a problem. 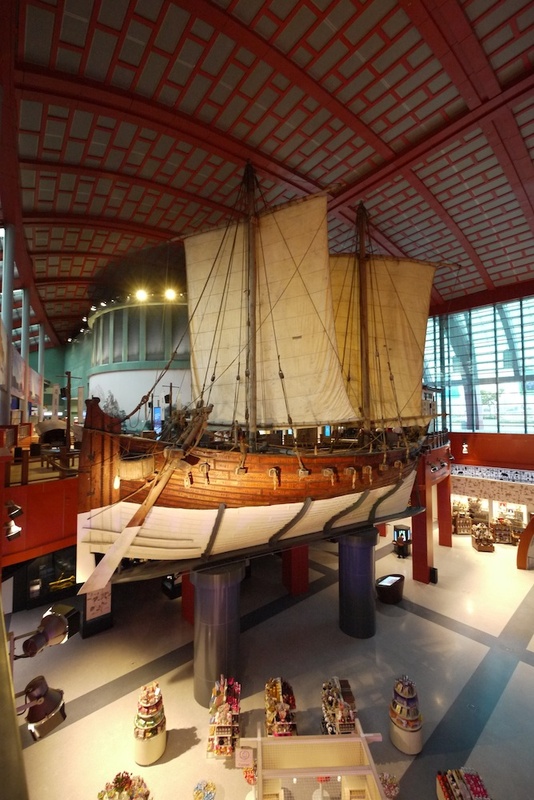 At least 22 shipwrecks occurred there, with 60,000 relics from a single dhow now on display in the museum. Also inside, MXM project manager Patrick Burke commissioned a series of interactive exhibits that ultimately culminate in a 300-seat circular "Typhoon Theater" created by international designer Ralph Appelbaum, one that simulates a tropical cyclone. The museum's set back from the water's edge by an esplanade with covered pedestrian loggia that allows visitors to view of the mainland across the bay. When viewed from the water at night, glass facades reveal a bright interior that serves as beacon on the water and landmark on the horizon. It's all a punctuation mark for Singapore's status as a world-class destination, and for the $4 billion Resorts World Sentosa with its cutting-edge hotels, family entertainment, fine dining, and gaming on 121 acres adjacent to downtown. "They call it edutainment," the architect says of his new museum connected to the resort. With Graves at the branding helm, though, it seems more a likely giant about to waken. For more information on MXM, go here.